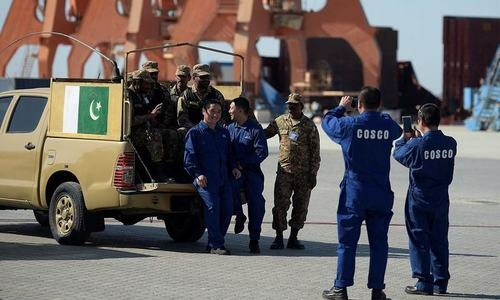 KARACHI: The Sindh government has sought the federal government’s role to make relevant laws enabling the provincial authorities to get registered the Chinese nationals entering the province through land routes, said a senior official on Sunday. The proposal first emerged in March when the Sindh government had noticed an “alarming” increase in ATM frauds in the provincial capital and decided to approach the federal government for the same legislation. The proposal was formally conveyed to the prime minister in the last meeting of the Council of Common Interests (CCI) held recently in Islamabad, said the official. 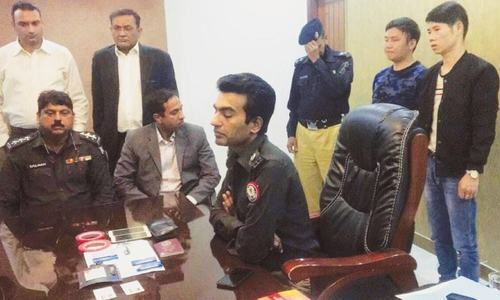 The minister was referring to the incident earlier this year in which the Karachi police held two Chinese men in the Zainab Market area on suspicions that they were stealing data of bank customers through ATM skimming devices. The police had claimed to have seized ATM skimming devices and other equipment from the suspects. The law minister said the government had noticed a tangible hike in the cases of skimming devices being installed at bank ATMs aiming at stealing data of account holders. He said the Sindh government had proposed to the federal authorities that such legislation for registration of the Chinese nationals, particularly those entering Sindh through land routes, was extremely important. He said Islamabad also did not have the data of the Chinese coming to the country through land routes. He said the federal authorities also had the data regarding the Chinese companies working in Pakistan. Mr Lanjar said that under the proposed mechanism every Chinese national renting a residential accommodation in Sindh would be required to duly register himself/herself with the police station concerned. Under the proposed policy, he said, the unregistered Chinese coming to the province through land routes would be required to get a no-objection certificate from the Sindh home department before opting to reside or do business anywhere in Sindh. “It’s the federal government domain to keep data of foreign nationals. The number of Chinese visitors to the province has increased in the recent months. They include those who are associated with different companies and also those who are on their private visit. In both cases, we need the federal government’s support and assistance to get them registered,” he added. You must register at their police stations if you are renting a room or an apartment. Unfortunately there is no such thing as government in our country, specially Sindh. Anyone can and will take an advantage of our systems weaknesses.